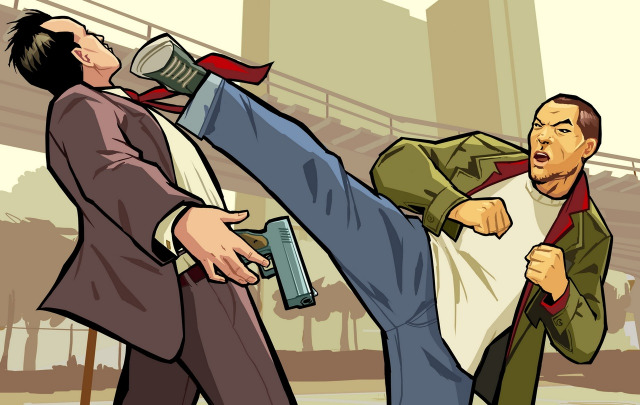 Grand Theft Auto: Chinatown Wars is released on to the PSP, and is in stores now across North America today! If you've got a PSP you really have no excuse to not get this instant classic. While Europeans will have to wait until Friday, everyone can take a look at some of the first reviews being released! Both Play Magazine and VideoGamer.com give Chinatown Wars a perfect 10/10, calling it "The new best hand-held title of the year." Now Gamer gives it a 9.5/10, calling it "the definitive handheld GTA experience!" It gets a 9/10 from Eurogamer, who highlight the highly improved textures and how much better the comic cells used in the game's story look on the larger PSP screen. "If you're looking for a good action adventure experience that harkens back to the more cartoony Grand Theft Auto days, then Chinatown Wars is certainly worth the investment," says Gamepro's 4.5/5 glowing review! Gunna buy it in a couple hours.